We’re excited to announce that we’ve managed to track down a limited number of back issues which have been sold out for a while now, so for our last hoorah at our favorite fair this weekend, we’ll have some COMPLETE SETS of World Sweet World for sale. As well as the sets, we’ll also be selling single copies of issues 3-9, so if I were you, I’d head out to the Dowse this Saturday (June 12) from 10am – 3pm to make sure you get those issues you need to complete your collection. After the fair, if there are any left, we’ll pop them up on the website for sale, but as we’ve had lots of people contacting us, wanting to get hold of them, I can’t guarantee there will be any left by the end of the day. Looking forward to our last fair (behind a stall anyway) for a while. There are so many fantastic stallholders on the list that I imagine we’ll be doing quite a bit of buying this time, as well. Check out the Craft2.0 blog for more info on which crafters will be there selling their wares, and hopefully we’ll see you in the Hutt in a couple of days! 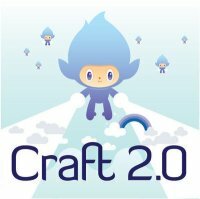 Yeay, another Craft2.0 is juts around the corner! Come to Craft2.0 at The New Dowse tomorrow! Its back, and ready to warm up winter… Craft 2.0 is this Saturday! Start sorting out your sewing room – this is going to be fun! Hooray! 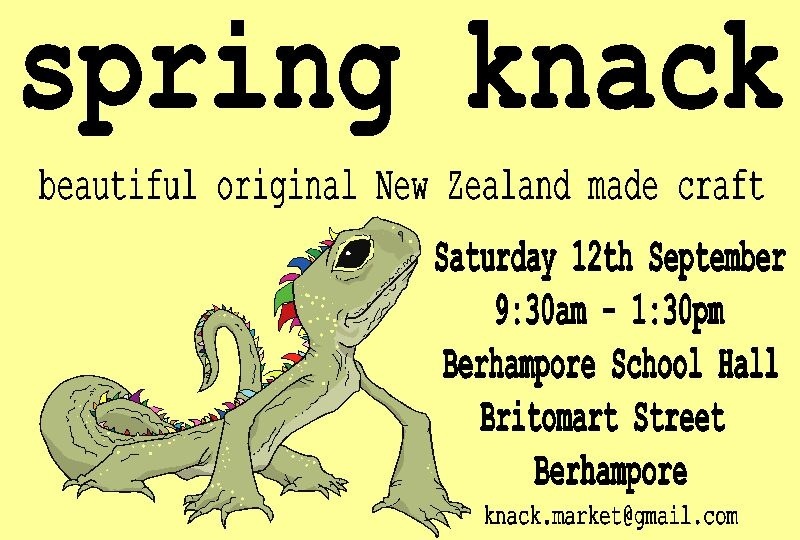 We’re looking forward to catching up with folk at Spring Knack – a cute and crafty market at Berhampore School. Come down and say hello, check out the lovely babycentric stuff from Lone Moose and freerangebaby plus lots more Wellington peeps. Oh, and also, there are passionfruit cupcakes. Need I say more? 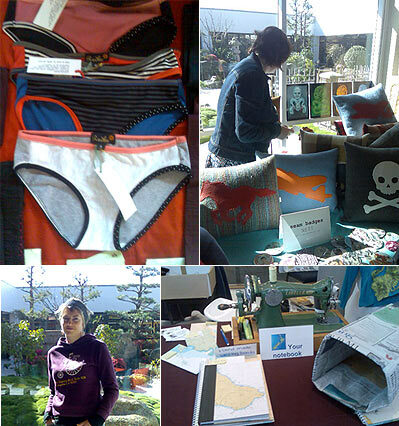 last weekend we went to the Craft Market at Pataka. What a great market – Pataka is always worth a trip, but the art gallery lent itself beautifully to a setting for a small market. jewellery made out of bicycle tubes, and pillows made out of old blankets. senses – and this weekend Craft2.0 is on in Christchurch, at Our City O-Tautahi. Come all and have a look!